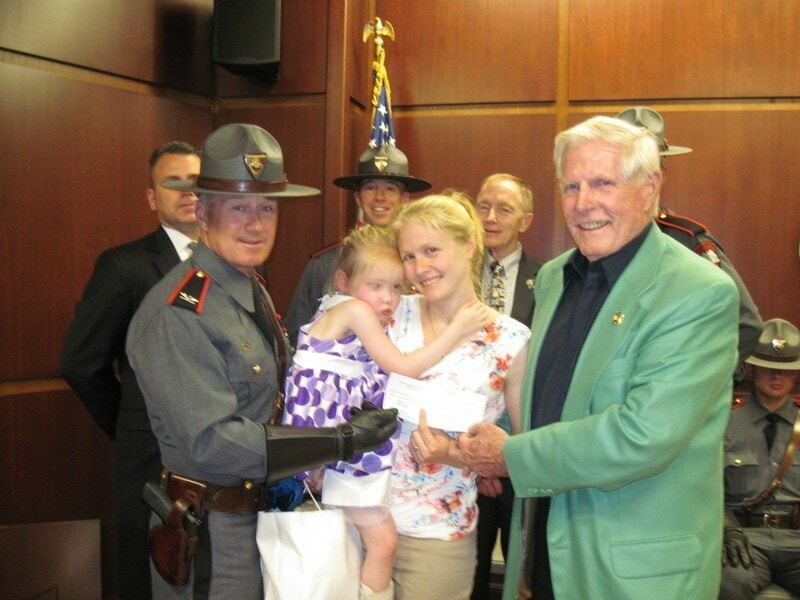 On Wednesday, July 16, 2014, Cops For Kids With Cancer went to the Rhode Island State Police Hq. and made a $5,000.00 donation to the family of Sophie Gagnon, a 4 year old girl from Warwick, RI. who has brain cancer. In photo left to right Col. Steve O’Donnell, Sophie, Mother Patricia and Bob Faherty.